Hey everyone. This infographic from our affiliate partner KCM caught my eye. 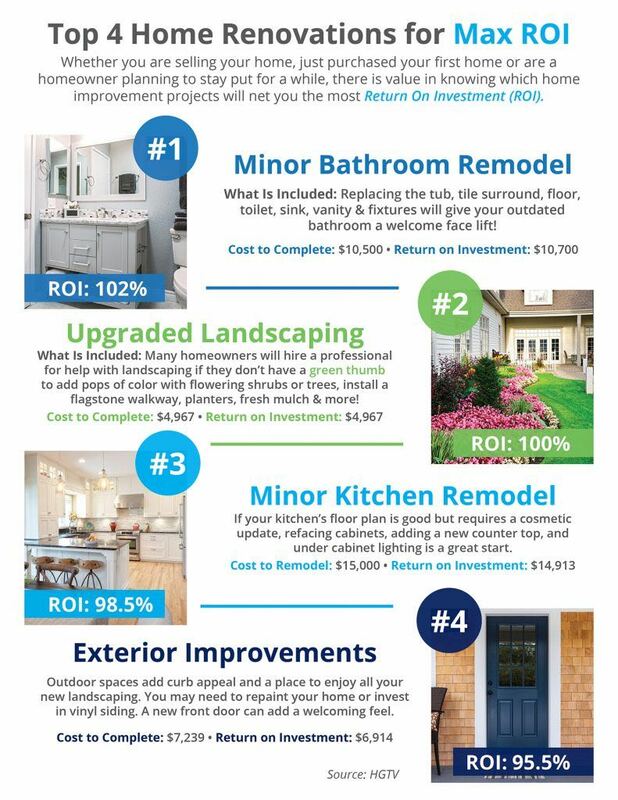 It talks about how minor bathroom and kitchen remodels, upgraded landscaping and exterior improvements will give you the best return on your investment. Not sure how accurate the information is but it comes from HGTV. What do you think? Feel free to contact me to me.